This Is Not Your Father’s “Self-Working” Card Book! 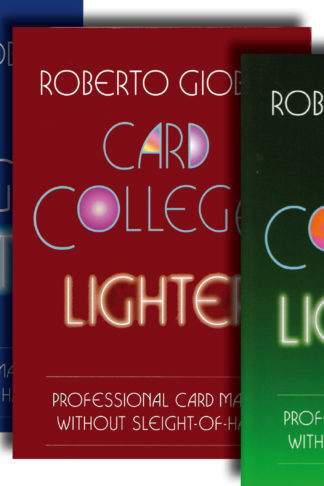 From the author of Card College, the world’s most acclaimed course on sleight-of-hand card magic, comes Card College Light, Roberto Giobbi’s first text focused entirely on professional caliber card tricks requiring no manipulative skill. It is for beginners, of course—but by no means in total. 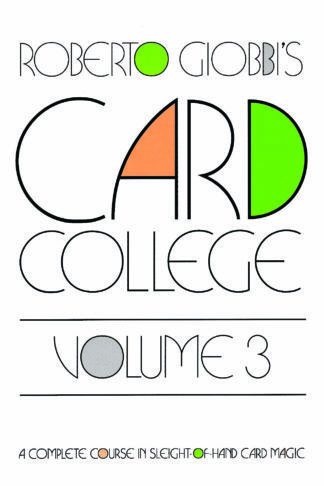 This book is intended for everyone who has always wanted to perform card tricks, but who didn’t have the time necessary to learn complex routines, or the years necessary to master difficult techniques. So, yes, this book is certainly meant for beginners. However, it is also directed at those who are already proficient in the craft. 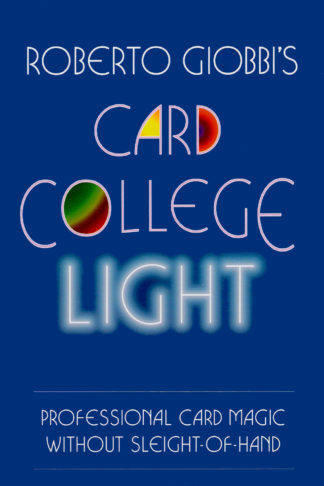 Card College Light is i a class apart from other books that focus on sleightless card tricks. When it comes to artistic considerations—interpretation, staging, communication and psychology—other books seldom even recognize such concepts. 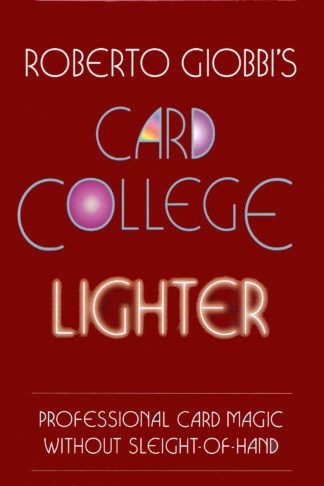 Card College Light strives to remain as simple as possible, yet to identify concepts and to open doors that put sleightless tricks into the context of artistic and utterly baffling card magic. Although other books consider the same type of material, their approaches to it are quite different from Giobbi’s. 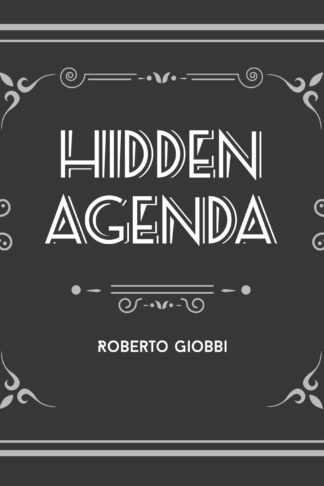 Most of the tricks taught are from Mr. Giobbi’s active professional repertoire, with which he baffles the public and magicians, too. 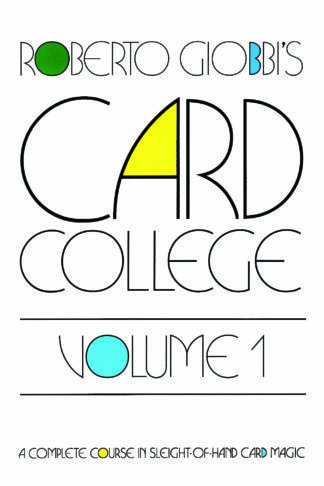 Every trick can be done with any deck of cards of average quality, and many can be done under all performance conditions, with a borrowed deck and no preparation. With these sleightless tricks, you can easily acquire a reputation as a magician who can really make magic. There Is More to the Secret Than Just the Secret! Countless books on card magic promise tricks that “require no skill” and are “easy to do” or “self-working”. They expose the method behind the tricks, but they fail to explain how the tricks are made genuinely amazing. Card tricks that allow the fingers to remain idle require that their methods be cunningly protected through presentation and psychology, which in turn amplify the feeling of real magic. Without these things, all you are left with are mere puzzles. 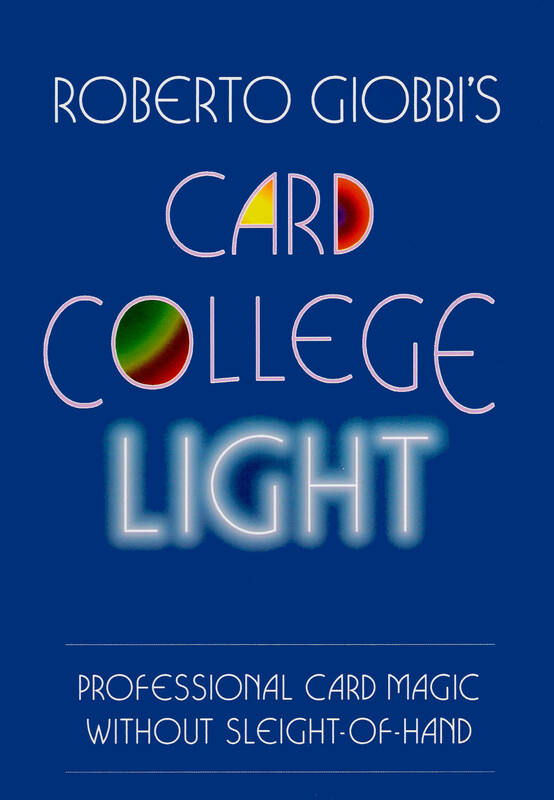 Giobbi brings his widely respected talents as both teacher and full-time performer to bear on the topic of learning and performing sleightless card magic, giving the reader all the tools necessary for a professional-quality performance. The tricks he has selected range from time-tested classics to little-known modern miracles by world masters, and are taught with a thoroughness that includes psychology, presentations, scripts and invaluable performance tips.